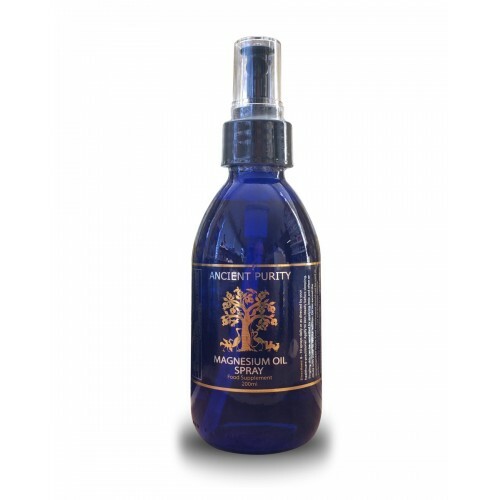 Derived from pine lignans sourced from marine pine trees. The use of pure sulphur dates back to 1075 when it was found to soften the skin. It has been used as a beauty aid that replaces sulphur lost due to artificial fertilisers, and as a food supplement to promote oxygen transport across cell membranes. This MSM Organic Sulphur is direct from the Sulphur Study, we have tried and tested many Organic Sulphurs and found this one to be our number one choice by far. Organic Sulphur helps the body use and transport oxygen more efficiently. Pure Sulphur Crystals can be taken as a sleep aid before bedtime and can be added to tooth brushing regimens to address gum disease. Most researchers say that sulphur is one of the most important of the trace minerals, around the fourth to sixth most important. 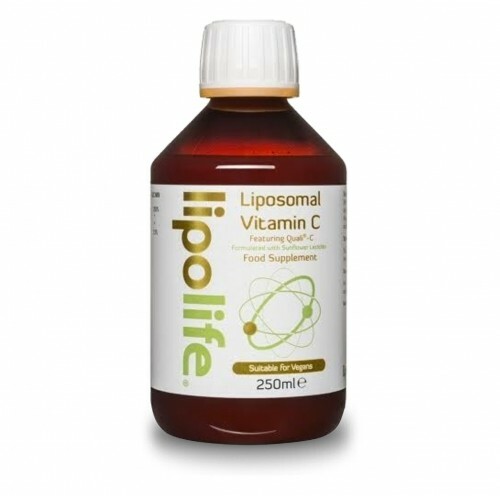 To rejuvenate collagen, we recommend taking Vitamin C with Organic Sulphur, around 3 grams daily. This is now recommended to be taken separately at a different time of day. Organic sulfur is a food, not a drug. Organic Sulfur is not stored in the body and it is considered to be non-toxic. Powerful in promoting skin health. Promotes mind and brain health. Hair strength, growth and colour. You can find MSM in your local health shop, bodybuilding stores, and cheap online bulk product sites. Let us assure you this is not the same product. For me personally I read about MSM many years ago, then I met David Wolfe and he told me how much he loved it. I have personally even before the days of Ancient Purity tried so many MSM products, I decided it was all rubbish and never got any benefit of the product. In 2011 I met some people running a research study using MSM organic Sulphur, I learned about how it varies, about the structure and how it could be check and many other factors. We then set about creating the same Sulphur as used in the research. We then started our own brand of MSM Organic Sulphur, manufacturing in our clean room here in the UK under GMP. We then started seeing the most incredible results and reports back from people, then as usual people we knew then said, I've found it cheaper here, even one man saying "I've got it from the Equine shop and it's as good". Yet then soon returned. We would never bad mouth any supplier or MSM, all of it must be beneficial, however, does it get the results you want or need? Please do try them and see if it does what you want, then try this one and experience it. 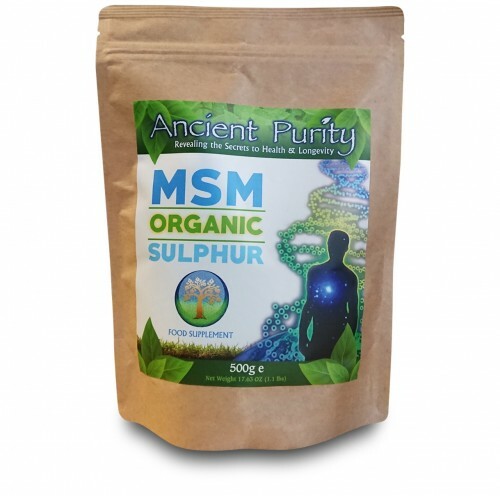 I as you tried the others and have now been cycling use with this MSM Organic Sulphur for years. It is used by people all over the world who have come to know this as the number one choice. 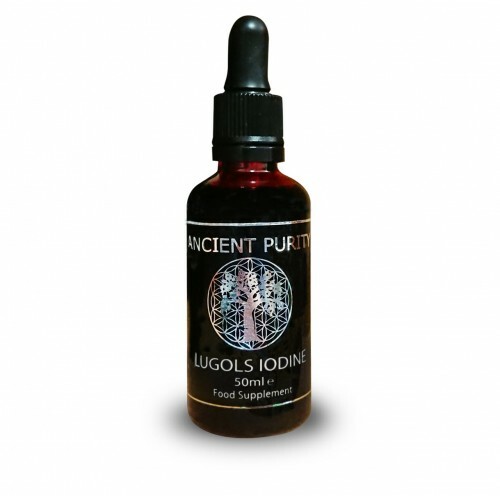 We hope you will make it part of your health regime, along with Fulvic Minerals, Lugols Iodine, Magnesium and Vitamins C, D3, K2 it is the absolute powerhouse product in natural health. 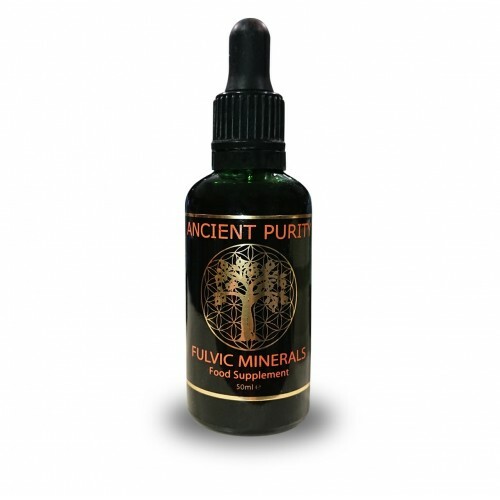 The mineral sulphur is needed for the cytochrome P450 detoxification pathways in the liver, and to bind toxic metals, and for other purposes in the liver as well, such as detoxifying pharmaceuticals, environmental toxins, pesticides as well as heavy metals. In the "Nutrition Almanac" (J.D. Kirschmann) Sulphur is a part of glutathione, the primary antioxidant that maintains a healthy liver. It detoxifies sulfuric acid and toxic substances from radiation and pollution as mentioned earlier. Sulphur supports our bodies to resist bad bacteria and is found in bile via the amino acid taurine, which also assists good functional digestion. Sulphur is an essential element for all life and is widely used in biochemical processes. In metabolic reactions, sulfur compounds serve as both fuels and respiratory (oxygen-replacing) materials for simple organisms. Sulfur in organic form is present in the vitamins biotin and thiamine, the latter being named for the Greek word for Sulphur. Sulphur is an important part of many enzymes and in antioxidant molecules like glutathione and thioredoxin. Because Sulphur is directly below oxygen in the periodic table, these elements have similar electron configurations. Sulphur forms many compounds that are analogues of oxygen compounds and it has a unique action on body tissues. It decreases the pressure inside the cell. In removing fluids and toxins, sulfur affects the cell membrane. Sulphur is present in all cells and forms sulfate compounds with sodium, potassium, magnesium, and selenium. Organic Sulphur, in addition to eliminating heavy metals, regenerates, repairs and rebuilds all the cells in the body. 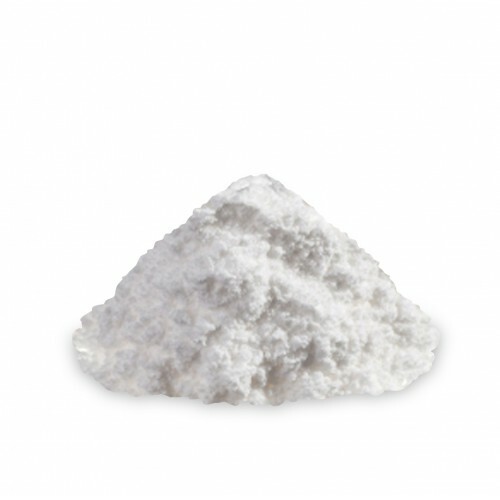 Organically bonded sulfur is a component of all proteins, such as the amino acids cysteine and methionine. Disulfide bonds are largely responsible for the strength and shape of proteins. Since Sulphur bonds are required for proteins to maintain their shape, and these bonds determine the biological activity of the proteins, we can see why Sulphur is critical for health and life itself. Sulphur is required for the proper structure and biological activity of enzymes. If you don't have sufficient amounts of Sulphur in your body, the enzymes cannot function properly. This can cascade into a number of health problems since, without biologically-active enzymes, your metabolic processes cannot function properly. Sulphur enables the transport of oxygen across cell membranes, and oxygen is necessary for healthy cellular regeneration in mammals. Plants, on the other hand, require carbon dioxide for cell regeneration, and plants can store sulphur, while a man cannot. Man eliminates carbon dioxide, and plants eliminate oxygen. Thus, the sulphur cycle is symbiotic and vital for life as we know it. When many health professionals are asked about sulphur, they state as if reading from a cue card, "We get all the sulphur we need from the food we eat." That was true until man decided to change the way we grow our food and what we feed our crops. The Study found that the use of chemical fertilisers had effectively broken the sulfur cycle in countries that use fertilisers. 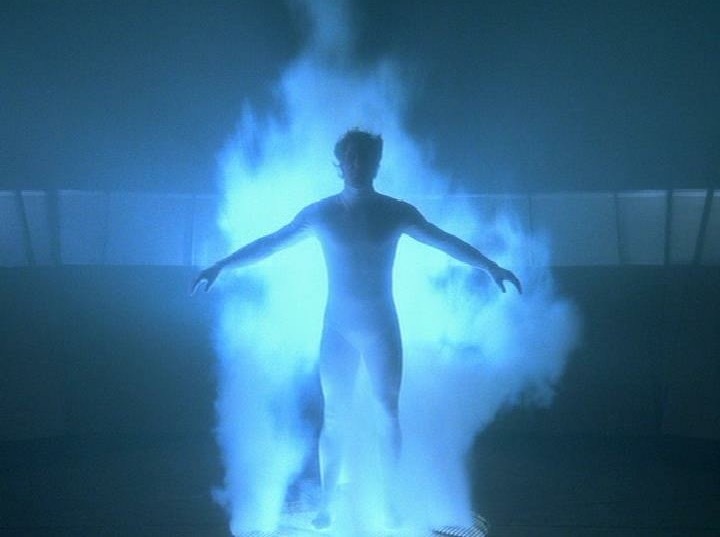 The people running the Sulphur Study, believe that once the study is completed, it will clearly demonstrate a connection between the lack of sulfur and the inability of cells to regenerate in a healthy manner. Cellular regeneration appears to be closely tied to the body's ability to transport oxygen across cell membranes. As stated earlier, this is a primary function of organic sulphur. The Study believes that a widespread deficiency in the mineral sulphur may be responsible for the great increase in disease in the Western world. 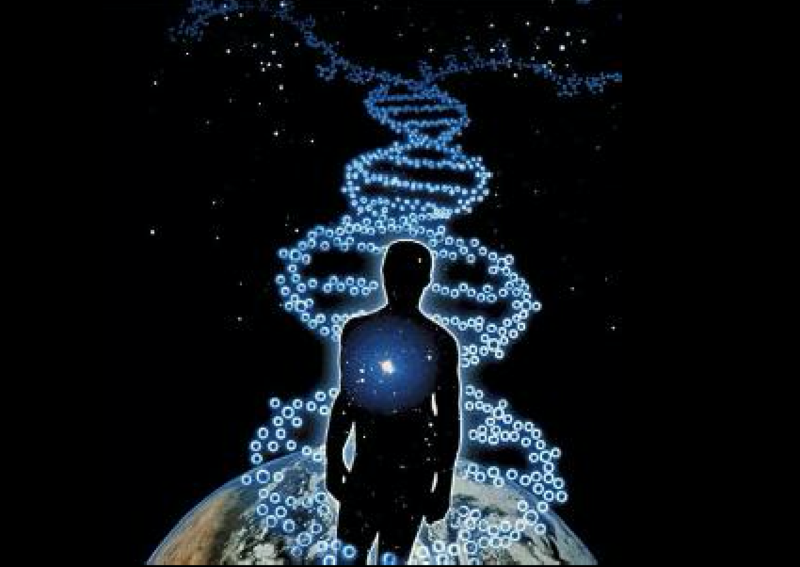 Healthy cellular metabolism is the basis for cellular regeneration of all of our cells. This is the bottom line for the human body. Without intracellular oxygen, we begin to degenerate long before our biological clock runs out. Sulphur in organic form is present in the vitamins biotin and thiamine, the latter being named for the Greek word for sulphur. Sulphur is an important part of many enzymes processes and the antioxidant molecule glutathione, the body's most important antioxidant. Methyl Sulfonyl Methane (MSM) 99.8% Pure Sulphur. (Derived from pine lignans sourced from marine pine trees. No fillers, anti-caking agents or preservatives). Produced to ecological standards, free from agro-chemicals. Non-irradiated and GMO-free. As a supplement, take 1 tsp. (4 grams) twice a day, if over 200lbs / 90kg/ 14 Stone. Dissolve the measured dose of Sulphur in approximately 2 oz (60ml) of pure water (can be lukewarm), drink quickly to avoid taste or follow maple syrup/lime mix below.. Then drink a cool glass of water to wash down. Tony Pantalleresco says that taking more is better, as much as 10 - 20 grams a day. Tom Stavely says "I'm taking 12 grams a day currently with very positive effects"
Organic sulfur is a food, not a drug. Organic Sulfur is not stored in the body and it is considered to be nontoxic. 1 teaspoon Real 100% Lime Juice or juice from two limes. 1 teaspoon organic maple syrup (Grade B recommended). Any bitter natural juice such as 100% cranberry or yellow grapefruit. (After 3 weeks you’ll stop noticing the punch’s bitterness when your body begins its sulphur cycle). Consider taking Camu Camu and MSM for collagen production, The Sulphur Study think the 2 should be taken apart on the same day. Warning: If flu-like symptoms or headaches result, they may indicate that detoxification is occurring. In this case, take MSM Organic Sulphur with food or increase the amount -- immediately -- rather than stopping. Ormus Gold: If you are using Ormus Gold, its thought that MSM can deactivate Ormus Gold, so you should take the both of them 12 hours apart. Estimated shelf life: 2 years from purchase. Q - What is the dose? A - Please see Suggested Use above. Q - Is there any more info on dosage? A - YES, you can find more information in the videos. Q - How much water should I be drinking? A - A rough guide is to work out your body-weight in pounds, halve it and drink that amount in ounces each day, with an ounce being 30ml. So for example, someone weighing 10 stone: That's 140 pounds. Halve it is 70, so 70 ounces of water. 70x 30ml to get the total ml in a day, which is 2100ml. So rough guide would be 2.1 litres of water per day (2100ml). 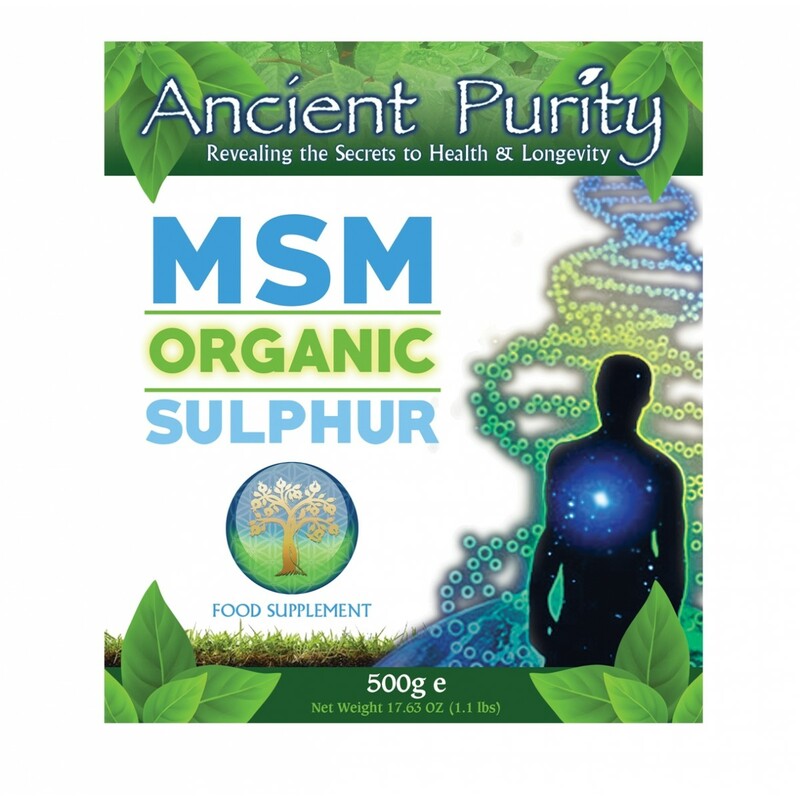 Q - Is your MSM Organic Sulphur plant based? A - YES, it comes from pine lignans sourced from marine pine trees in the USA. Q - Is it a Petrochemical derivative? Q - What Is MSM? 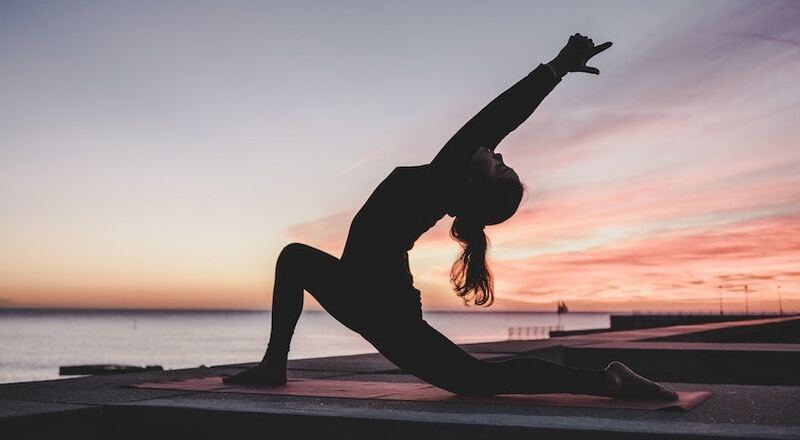 A - MSM is the abbreviation for Methlysulfonylmethane – a patented derivative of DMSO that appears to have all the anti-stress, anti-ageing, and anti-pain benefits of DMSO. MSM is odourless, so it provides these results without having the major drawbacks of DMSO. Q - Does MSM Occur Naturally? A - Yes, MSM is found naturally in many foods when they're absolutely fresh – particularly in green plants, certain algaes, and a variety of fruits, vegetables and grains, and in some fish and meats. But it's quickly lost as freshness passes, and it is effectively destroyed by the heat involved in cooking virtually any food. Q - Your MSM is 99.7% pure. What is in the .3% ? A - Pharmaceutical MSM is 99.9% as is the Opti Brand MSM. The .3% is what is found in nature, .3% we believe is what makes organic sulfur work, while the 99.9% including the Pharmaceutical grade does not. The .3% is not heavy metals nor toxins they are lost in the process of making crystals. .3% is why organic sulfur works and MSM does not. Personal experience is the only way we know how to demonstrate why organic sulfur works and MSM does not. The Sulphur is tested at the source for effectiveness before it is shipped. Q - If it Occurs Naturally, Why Is It Patented ? A - The patents aren't on the substance MSM itself but on the method used to extract or to synthesize it. The first use of MSM was primarily by veterinarians (particularly those with high-earning race horses). A - MSM is an excellent source of sulphur, which is required for proper assimilation of the alpha amino acids Methionine and Cyteine. It also is required in the molecular structure of many proteins, catalysts, and enzymes in the body. That's why it benefits us in many ways. Q - I want to take Organic Sulphur with Vitamin C for collagen production what do I do? A - The Sulphur Study recommend taking the Vitamin C seperately to the Sulphur at a different time of day. Q - How Safe Is It? A - MSM is as safe as any other natural food product (when the pharmaceutical-grade MSM is used). Q - How Much Of It Do I Need? A - Daily doses ranging from 250 to 750 mg twice daily have been recommended for adults. Less MSM appears to be required when it's being taken with the "proper" amount of Vitamin C (with that amount being, in the opinion of many experts, 10% of the amount of Vitamin C as compared to the weight of the MSM being ingested). Q - I have mercury/amalgam filings is it safe to use MSM Organic Sulphur? A - All of the mercury will be eliminated with brushing and ingesting sulphur, the amalgams will stay, the mercury is gone from my body as mercuric sulphate, harmlessly in the stool, into the toilet. Mercury anywhere in the body once sulphated leaves harmlessly just as all of the radioactive junk from Fukushima sulphates out harmlessly. It is not only safe but recommended by dentists in the MSM study, reversal of gum disease always impresses dentists. Q - Can i boil the MSM, add it to tea? A - You can't boil it, Sulphur evaporates at 271 degrees Fahrenheit. You could heat the water first and simmer the tea and then add the Sulphur when it cools to a drinkable temperature. It melts at 108 degrees and that won’t hurt it. Only don’t boil it, add it later. OR: add it to hot tea not boiling tea. Q - What is the difference between Sulphur from Marine Pine Lignans and Sulphur that's been mined? A - Per Patrick McGean (who runs the Cellular Matrix (Sulfur) Study in the US: "Organic means processed by a plant. That which men mine which is mineral sulfur and not bio-friendly". Q - Please confirm whether your Organic Sulphur is made WITHOUT a high heat distillation process, which damages the sulphur crystals, and WITHOUT silicon dioxide? A - Confirmed. Our sulfur is NOT distilled and silicon dioxide is NOT used in the formalising nor the packaging of the product. Q - Does your Organic Sulphur go through any distillation process? A - No. Per Patrick McGean, who founded the Cellular Matrix Study in the US, researching the use of Sulphur to treat all sorts of conditions, and who supplies our sulphur (abridged): "No distilled MSM nor distilled organic sulfur has been effective in our research, they do not make scars go away, they do not allow cells to regenerate, not because of the distilling but because they can not leave anything alone, they add anti-caking agents and pulverize their stuff for those who will make pills of caps, none of which have ever worked. [Distilled also] does nothing to protect and repair the damage of radiation exposure [whereas] pure organic sulfur does."